Every pilot has to own legal copy of Condor (version 2.0.4). Any modification of the application or any of the aircraft is forbidden and will be penalized by disqualification from the competition. The competition starts on November 10, 2018, last competition day is December 22, 2018. Racing day is Saturday. Server always starts at 20:00 CET (19:00 UTC). The complete competition schedule you can find here. 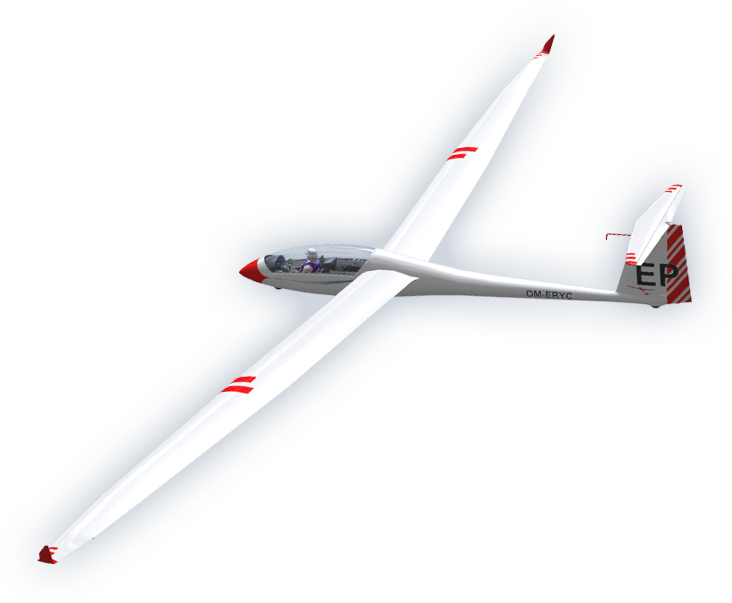 We will race in Two Seater Class (DuoDiscus glider). DAeC index WILL BE NOT USED. Competition has together 7 racing days. All task will have take-off and landing at Celje airport. We have only one competition scenery: default Slovenia2 [1.0], author: Miloš "Cadfael" Koch. The competition shall be scored according to the to the real life FAI 1000-Points Scoring System: The Score is expressed in points (the maximum available Score for the day is 1000 points). 1000-Points Scoring System is fully explained in FAI Sporting Code: Annex A to Section 3 – Gliding. Each race will be scored with IGC files with ShowCondorIGC. DAeC index WILL BE NOT USED. Overall result is count of all 7 flights. Results of racing days and also overall score will be posted on this website next day after actuall race is done. Winner - pilot on first place in overall scoring - will receive an award from our contest sponsor www.condorworld.eu - brand new scenery for Condor version 2 - CW-B (will be released at the end of the year 2018), pilots on second and third place will be awarded with scenery CW-A (Austria) for Condor version 2.